As urban populations swell, cities face a fundamental question: should they go up - or go out? Which is the best way to manage growth? And can you increase density without compromising social or environmental outcomes? 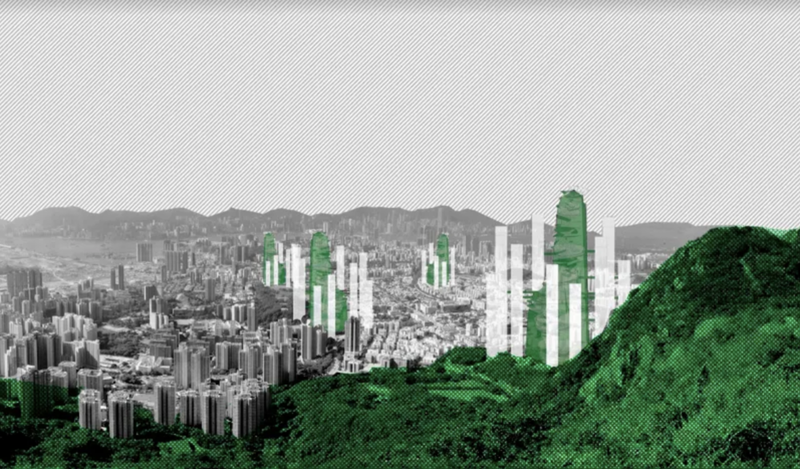 Global cities grappling with density - as well as challenges to connectivity, affordability and amenity - often look to Hong Kong as an instructive model. So we decided to explore the potential for Hong Kong to become even denser. Should cities expand upwards or outwards? But these engineering solutions are less effective when we consider the third measure of density - people. That’s because people relate more closely to the provision of social infrastructure such as open spaces and parks, community facilities and other public and private amenities. Often, as we intensify the city, we reduce the area available for public space and public infrastructure - even though these become even more critical for communities living in dense cities. And without them, we do not deliver the ‘social license’ for density: we make more buildings and more dwellings, but we do not necessarily provide the homes people want. Our proposal begins with the creation of a continuous ramp. It’s the most public, most accessible and most flexible circulation path we could imagine - more than 10 kilometres long and winding its way 500 metres into the sky. We then augment this slow path with a faster option - a rapid transport mode that stops every 80-100 metres. At each stop, we propose new jungle parks - lush, generous and open to the elements. Below these are public slabs containing hospitals, libraries, schools, markets - the social infrastructure required for living and working populations. And there are also clusters of economic activity, retail, workplace and enterprise centres - like a vertical version of street-facing shopfronts. This system can be catalyst for the renewal of the surrounding neighbourhood, unlocking the potential for thousands of new homes, new workplaces and new neighbourhoods. In a city of verticality - from towering landscape forms to skyrise commercial buildings - these towers could create an evocative new image for cities that are constantly finding new ways to innovate and experiment within the urban environment. Can a truly vertical system of public spaces be created? You can see his full report here. Awards, ParksJessica Watson December 10, 2018 Austin, dwg.